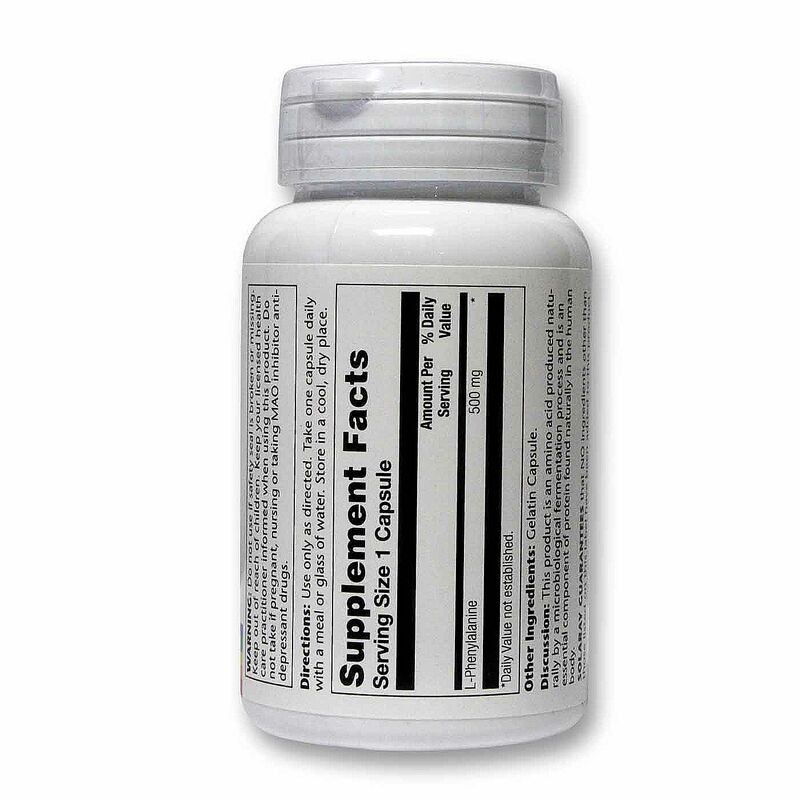 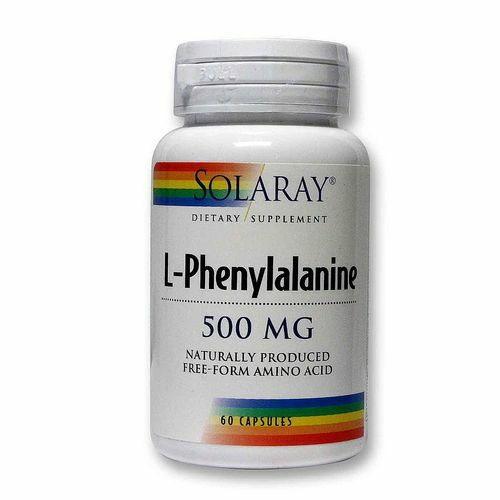 L-Phenylalanine 500 mg, dietary supplement. 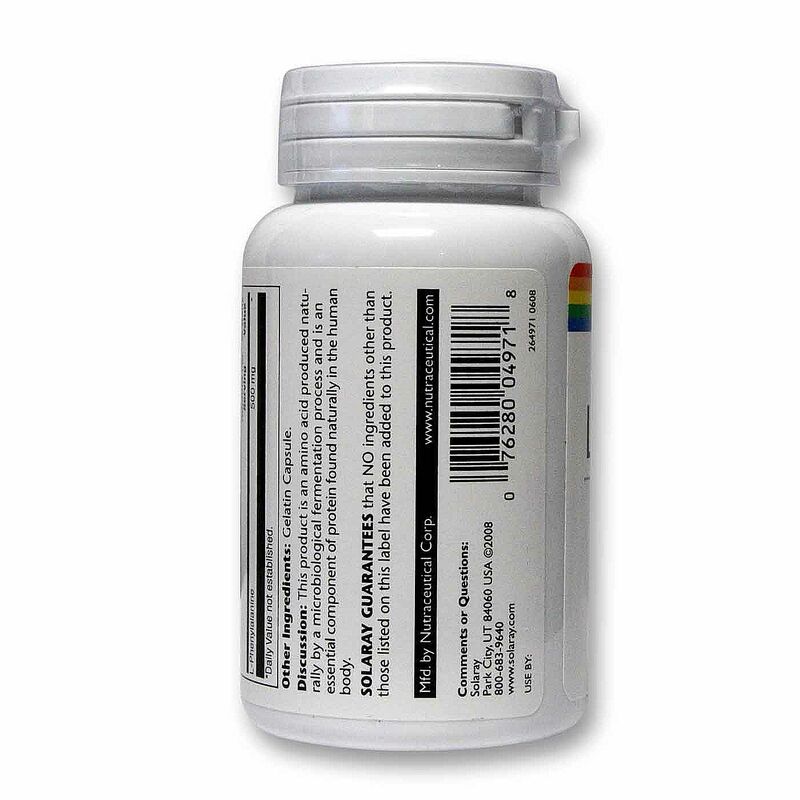 Naturally produced free-form amino acid from microbial fermentation. 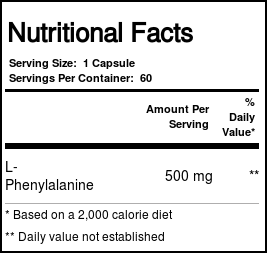 Recommended Use: As a dietary supplement, take 1 capsule daily.